The Pocket app has made it really easy to save your favorite content for a later read. Either its a piece of text to read or a video to watch, you can pocket it for future consideration. The Pocket app is super useful when you have limited time to read because something of greater importance comes up. However, over its eight years of life span, the app still lacks the ability to recommend articles to users on its own. 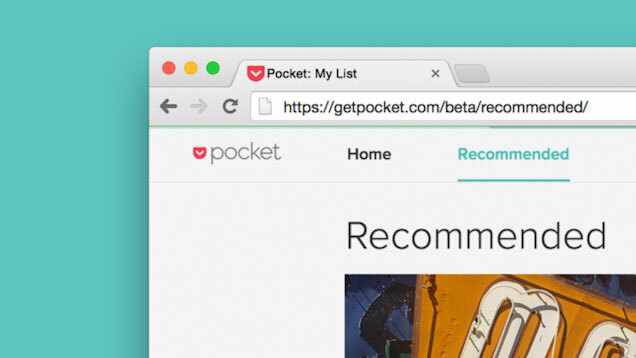 On that note, Pocket is said to be working on a program that would provide Recommendations to users. Before this is officially available, Pocket is opening a public beta for users who wish to try the upcoming feature and in turn provide the company with feedback. As we know, the Pocket app is available on iOS, Android as well as the web, recommendations would be a great addition to the app. The Recommendations tab will sit next to the My List tab where all your saved content is stored . Pocket will judge the stories you save to recommend stories that might interest you. Instapaper is another read-it-later app that has an upper hand in contrast to Pocket because it already hosts the recommendation aspect integrated in the Browse tab. 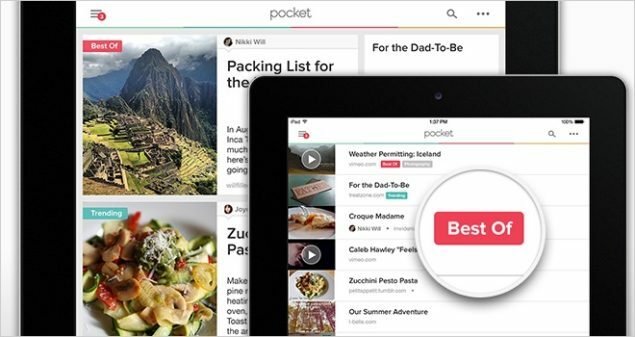 Before Pocket releases the final version to its 17 million users, beta users will provide the company with their feedback for the final evaluation of the app. With users already saving the best content, Nate points that there will be no further need to hunt for it. This will be a gigantic step for users and Pocket itself. The operation would envision people to “cut through the noise” and find the most interesting piece of content. However, this is a long term plan for Pocket and as for now the company has its focus on providing users with recommendations on their favorite stories. If you want to download the public beta for Pocket’s preview for integrated Recommendations on iOS, sign up here.